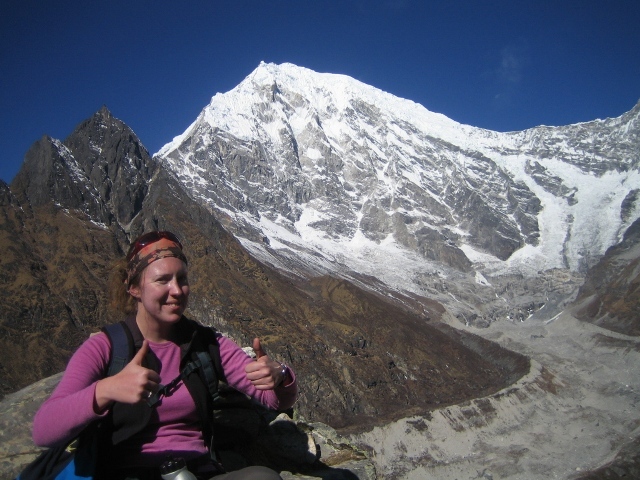 “Nepal was one of the best experiences of my life. The country itself is just so diverse and the people you will meet are absolutely lovely. There is so much to do and to experience so living in the country for a few months really lets you soak up the culture… fabulous. I cannot praise the Oyster programme enough. 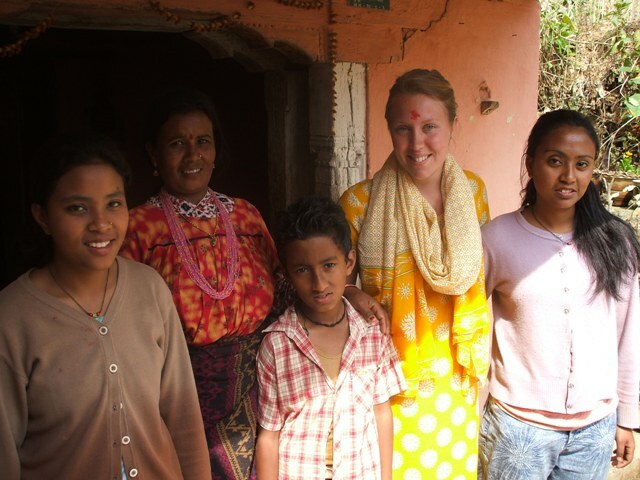 I was placed with a local family in one of the outlying villages of Kathmandu Valley, which wasn’t nearly as daunting as it seemed. The family were lovely and had numerous kids who spoke English. Living with a Nepali family provided me with thousands of memories that I’ll treasure forever: eating Daal Bhat with my fingers whilst sitting on the kitchen floor; chasing the family cow through the village when it had gone walkabout; collecting wood with the women of the family and carrying it on our heads back to the house; participating in loads of Hindu festivals, involving flower garlands and tikka on our heads; washing in the freezing cold water under the light of the moon. It was an amazing experience that you won’t get anywhere else. Teaching English was also fabulous. Having had no particular training in how to teach, I was pretty nervous on arrival when I was told that I would just be handed a number of classes but I shouldn’t have worried. The kids were enthusiastic and just wanted to speak English to you and I had great fun selecting things that I wanted to teach to them. I enjoyed it so much that I ended up doing a PGCE when I got home and have been happily teaching English in a high school in the North of England for the past 5 years! The social side of the programme was also really good. There were 7 Oyster volunteers on my trip so each weekend we used to get the bus into the city and meet up. Kathmandu has a great nightlife scene and we soon met other travellers who were completing similar projects. The treks that we completed were also really great (Tibet was closed during the year that we went due to political upheaval… typical) and one of the best things that we did was the Annapurna Base Camp Trek. I’ll never forget watching the sun set whilst surrounded by 8000m high mountains. Chitwan National Park was brilliant: where else can you see white rhino from the back of an elephant? We also spent some time in a women’s shelter, painting murals and exploring the Buddhist area of Kathmandu. Trips to Pokhara, joining in with the festival of Holi and watching the bodies be burned in Pashnupathinath were also some of the highlights. I felt so supported when in Nepal. Basant, the Oyster representative, was just so friendly and he treated us so well. His door was always open and he was always there to offer help and advice; be it ideas on where to go or even assistance in getting an Indian visa (a farce in Kathmandu! ), he was always there. If you have any questions about this programme, email [email protected] or call me on +44 (0) 1892 771972.